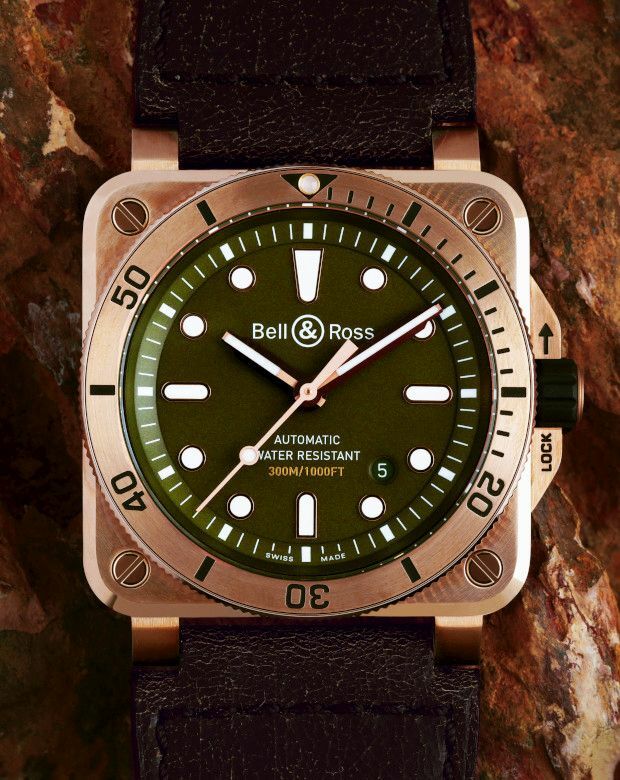 TimeZone : Bell & Ross » N E W M o d e l - Bell & Ross BR03-92 Diver Bronze "Demiurgus"
The case, in bronze, measures 42mm. 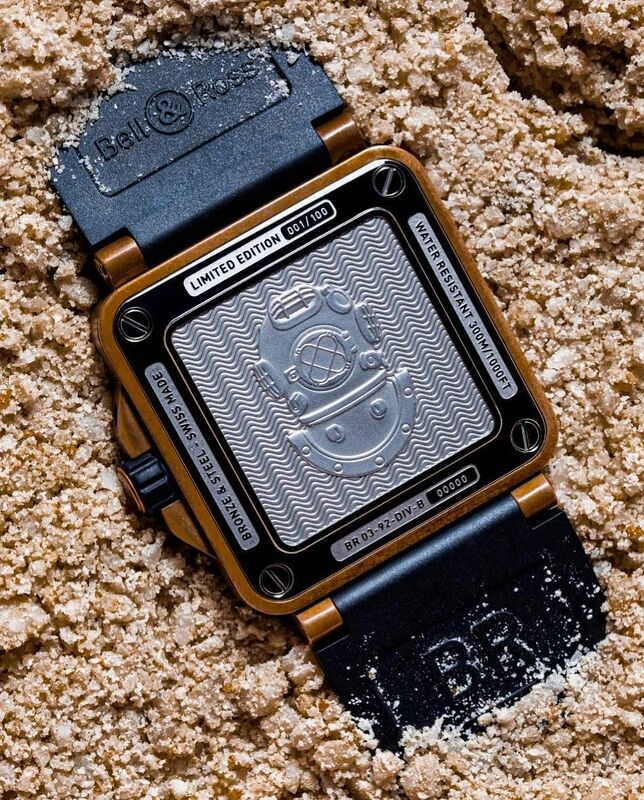 It has an AR-coated sapphire crystal, an engraved steel caseback, and it is water resistant to 300 meters. Movement is the Swiss automatic Bell & Ross caliber 302 (base Sellita SW300-1) with 25 jewels, 28,800 vph and a power reserve of 40 hours. 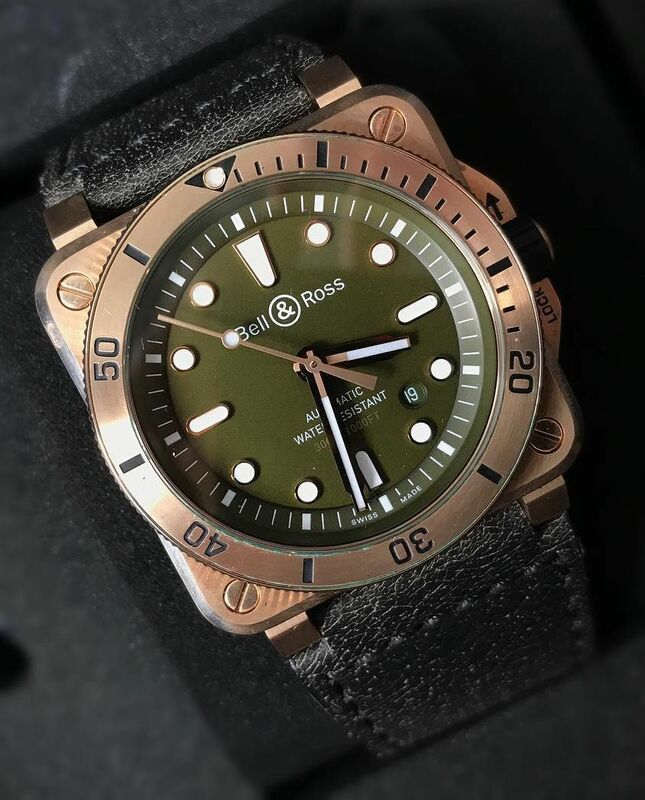 The olive khaki dial has luminous hands and markers. 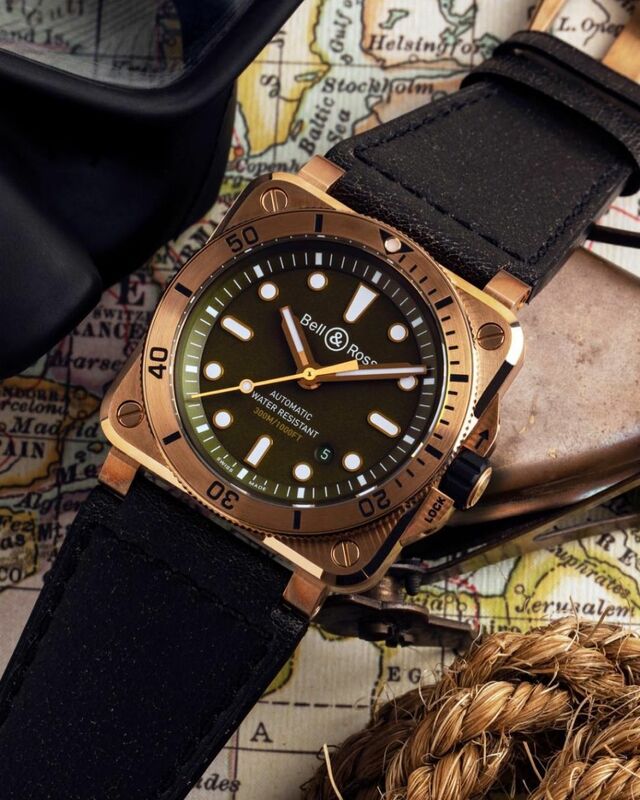 It comes on a 24mm distressed brown calfskin leather strap with bronze buckle, and an additional black rubber strap. MSRP is 6,200 Singapore Dollars. I suppose in anticipation of the verdigris patina the bronze develops naturally. Previous Topic: New "shoes" for the "Instrument"